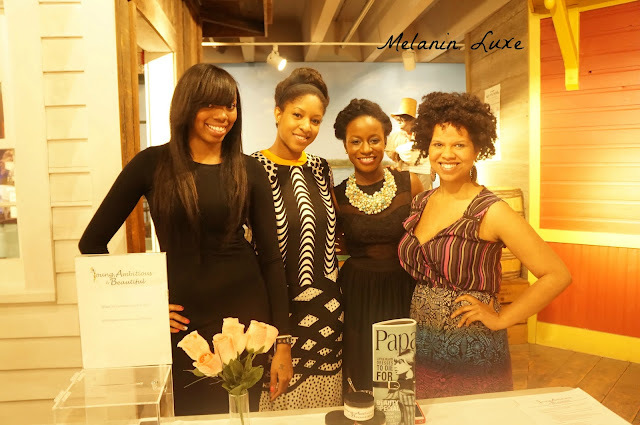 Melanin Luxe: Lift Detroit; I am Y.A.B. Lift Detroit; I am Y.A.B. Last night I also was so excited to meet the young ladies of I am Y.A.B. " Young, Ambitious, and Beautiful." If you would like to connect with these ladies or know someone who you think could benefit from the program click the link above. Jewell Shelton Wellness Ambassador & Lifestyle Blogger. Luxe Style: Grand Opening of Darling Dior. Luxe Face: In Love With The Glow-Glow It Works Skin Care Line. Luxe Review GCGME Midi Dress. Luxe Looks: Ring The Alarm Happy New Year!!!!! Street Style : Cameron B.
Melanin Luxe. Powered by Blogger.